Now that my manuscript for The Final Ride is finished and awaiting my publisher’s approval, I have to turn my attention toward marketing the thing. I don’t know about you, but I feel like I’ve read a gazillion books about marketing and promo, and it seems they all have the same things to say: have a blog (or not); work the social media; have an Amazon page, a Goodreads page,a Facebook author page; develop a tribe; join organizations. Find a niche. Don’t be spammy. Develop relationships. All that advice is great for developing your platform, but when it comes to the nuts and bolts of marketing, these books seemed to fall short. There are helpful blogs out there–like Joanna Penn’s, The Creative Penn–where you can get some great ideas, but I need a strategy. 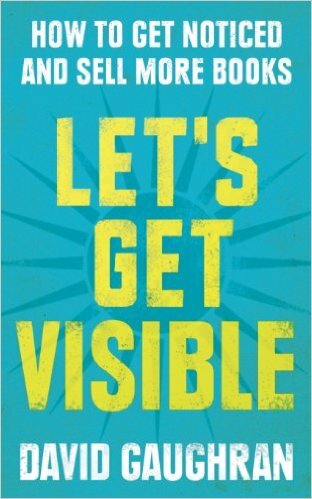 Let’s Get Visible, by David Gaughran helped me develop one. Gaughran goes into detail about how to work Amazon, like how to work it’s different list: Best Sellers, Top Rated, Hot New, Movers and Shakers, Popularity. The book is primarily centered on Amazon, though Gaughran does have a chapter dedicated to working the other sites (or, better described as explaining why the other sites aren’t author friendly), but Amazon is king of his book and he provides a convincing argument as to why that’s so. The book is aimed at those who self-publish and have control over pricing, categorizing, and tagging their novels. He provides strategies for launches, free pricing, and pulse pricing which are invaluable for the independent publisher. I don’t intend to self-publish The Final Ride, so I don’t have the same kind of control over my novel. But Gaughran’s launch strategies make sense. He has one called “Spread the Love,” intended to slowly bring the new release up on the lists. The novel won’t hit high on the charts right off the bat, but the goal is to get it on one or more of the lists and keep it there for a while. Since marketing and promotion are on my shoulders, I can do this part, and I can work closely with my publisher to implement other strategies too. It’s great to find a book that actually has strategies. I’m anxious to see how well they work. This entry was posted in Promotion/Publicity/Marketing, Reviews of exceptional books and tagged Amazon, Creative Penn, David Gaughran, Joanna Penn, Let's Get Visible, marketing, sales. Bookmark the permalink. 8 Responses to Let’s Get Visible! Thanks for the recommendation. Sounds like an informative and helpful book. Good luck with your marketing. I have a publisher but still to a lot of the things you listed about. To my surprise I find the marketing fun and have connected with lots of people because of it. My publisher has control of a lot of things Gaughin talked about too, but at least I feel better informed now. I’m glad you have fun with it. I love networking and increasing my platform. All that interaction tends to ease the loneliness involved in this job. Interesting discussion about publishing and marketing from Linda Yezak. 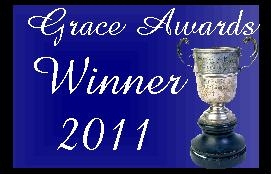 Awesomesauce! It’s such a great book. It is. I still have a lot to learn, but that was a great start!